Vocal codes, situated horizontally inside larynx are twin folding of mucous membrane. These vocal cords produce sound by its vibrations which are caused by the air that pass through them. In some people, it has been found that small growths develop in vocal cords. These nodules are formed as a result of continuous use of the vocal codes in an excessive manner. Continued use of the vocal cord without any rest causes them to redden first and then swelling appears in them. Eventually these swellings turn to be growths on the vocal cords which are known as vocal cord nodules. Major causes that lead to the formation of vocal cord nodules are listed below. 1) Excessive use of vocal codes which may be involved in shouting, screaming, continuous singing, excessive coughing etc. 2) Poor throat hygiene which includes smoking, insufficient drinking of water, drinking of alcohol, acidic liquids etc. If the above symptoms are seen continuously for a period about 7 days or more, you are expected to meet an ENT specialist or a speech and language therapist who will make an interim diagnosis based on your symptoms. 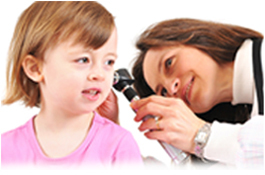 A detailed check up will be conducted using a stroboscope, which is an instrument used for viewing a magnified and slow motion video of the functioning of your vocal cords, and the diagnosis will be confirmed. Traditional treatment options like rest of vocal cords and voice therapy have been found to be very useful in giving relief from the symptoms exhibited and this can be used as an interim treatment option till the disease is finally diagnosed. Homeopathic treatment is also a very good option which does not have any side affect and has been found to be a very successful treatment option. Biopsy test may be done to confirm the presence of any cancerous cells in the affected area. Surgical procedure is usually not necessitated in clearing the vocal code nodules. It is better to follow the following suggestion which will be very helpful in reducing the affects of vocal cord nodules and preventing its reappearance. 1) Reduce or stop smoking. 2) Drink more than two liters of water every day. 3) Limit alcoholic or fizzy drinks.